Baron von Steuben did more to turn the ragtag members of the Continental Army into soldiers than anyone else. When Friedrich Wilhelm August Heinrich Ferdinand Steuben arrived in America, he brought with him a long, distinguished history of military service. Baron von Steuben, as he was commonly known, had fought through two wounds in his service in the Prussian Army. He was an aide for, and received training from, none other than Frederick the Great. Steuben also brought to America a letter of recommendation from Benjamin Franklin. Unfortunately, the Continental Congress had been handing out a lot of commissions to foreign officers coming across the ocean. Jealousy and infighting among these officers and the Continental officers had led them to stop. Von Steuben offered to volunteer his services. Congress agreed and sent him to Valley Forge to meet George Washington. General Washington appointed Steuben temporarily to the position of Inspector General. As Inspector, Steuben reviewed the camp and made immediate changes. The most important of these seems minor but may have saved a significant number of lives in a war where thousands died of disease: he gave them toilets. Ok, they were not toilets like we have today. They were latrines. But since most of the soldiers were doing their business literally anywhere, this was a big deal. Steuben went one step further and moved the kitchens to the high ground while putting the latrines down hill on the opposite side of the camp. In the days before germ theory he could not have known WHY this worked at preventing disease. All he had to know is that it DID work. With von Steuben’s quick success at revamping the camp at Valley Forge, Washington recommended Congress grant Steuben a commission as a Major General. They complied, as Washington’s suggestions were always given the utmost respect, and Steuben was officially a leader in the Continental Army. Steuben was responsible for training the ragtag Americans into a full-fledged Army. He found the best troops in camp and created an Honor Guard for Washington. 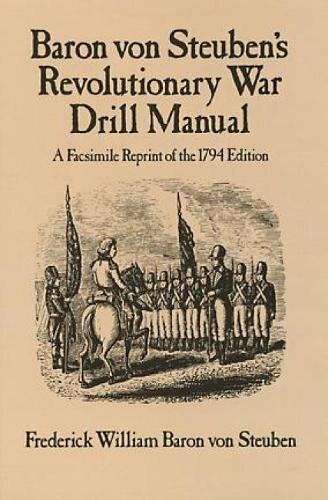 They were trained in all the drills (most notably bayonet use) and were responsible for protecting the Commander-in-Chief. Additionally, each of the men in the Honor Guard were given other troops to train in the same fashion they were. Through this method, all the members of the Continental Army received Steuben’s training relatively quickly. The following winter, Steuben wrote Regulations for the Order and Discipline of the Troops of the United States, which was commonly known as the Blue Book. This publication was an overview of the training he gave to the Honor Guard. It was used to train new troop through the War of 1812. It is interesting to note that all of Steuben’s successes came even though he spoke very little English. He used a translator while he was giving his orders. However, he was loved by the men he trained. Steuben was tough and knowledgeable in warfare, not to mention the only thing they could understand him say were curse words. They also respected that his training worked. His training continued to work. 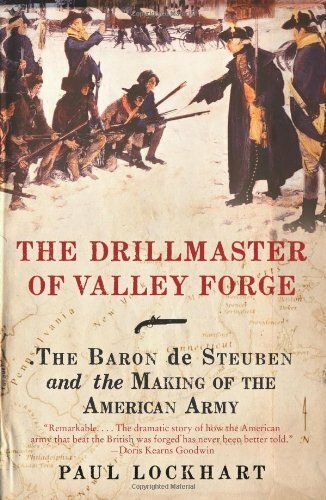 The methods Baron von Steuben used to train soldiers would be continued in the United States Army, in one way or another, well into the 20th century. Please subscribe to our email list for a new Founder every day.